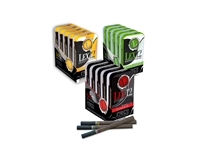 LEX12® Little Cigars offer 12 little cigars presented in a sealed premium tin to ensure freshness. Handcrafted American-grown tobacco. Deliciously spicy, sweet, smooth taste. LEX12 goes beyond premium, it is affordable-very delicious, and aromatic.